The accommodations exceeded our expectations; our apartment was very clean, comfortable, and the location was excellent. Communication with Martin prior to the trip was very easy and both Martin and Agnes went out of their way to make sure we could leave our luggage with them (since we were early arrivals) so we could walk around while the room was being prepared for us. Martin was also very helpful in mapping out sites for us to visit and provided an excellent restaurant recommendation. Martin is a great host and helped make us feel at home - make sure you get some of his homemade hot chocolate! Martin greeted us and was a wonderful host. The breakfasts he prepared for were top notch. The large room had 4 large windows and a lovely large bathroom. The location was perfectly located in Old Town. Highly recommend. Also loved Martin who helped us with everything. Our whole experience in Warsaw was great. At the top of our list was our Host, Martin. Communication with him was wonderful. He met us upon our arrival, was available when I called him with questions and most importantly, when our luggage was lost in route, Martin himself stayed close by to accept our bags from the airport delivery service so we would not have to cancel an already planned and paid for tour. There are not may hosts that would do that! He was great. The apartment was very nice with everything we needed. No complaints, just a comment. It was unseasonably warm during our visit and a bit larger fan to circulate air would have been very welcome. There was one small fan, but this was a very large apartment. Still, overall we were very happy with the accommodations and would enthusiastically recommend to others. 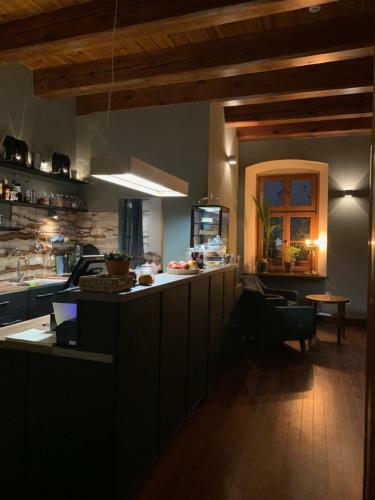 the location is fantastic, I was living in the big room just under the roof, all the rooms are in an historical building nearby the historical city center.Just inside the "Barbacane"door, the place is completely renovated and each room has a different style and specially cured by the owner. the owner is implementing the breakfast hall at the first floor. It will be ready soon. I will be back for a short weekend: this place is perfect for couples and families. Martin was an excellent host - one of the friendliest I've ever met. Very accommodating, helpful and kind! Super apartment, very confortable and perfectly heated , Martin is a perfect landlord!! Excellent location at the corner of market square. Spacious,clean and tastefully decorated room gives a polish flavor. Martin is warm and resourceful, he makes a solo traveler like me feel home. Absolutely a pleasant stay. Will recommend to friends. Lock in a great price for Duval Serviced Apartments – rated 9.8 by recent guests! Located in the heart of Warsaw’s Old Town, housed in a 16th century city house, Duval Serviced Apartments offers modern accommodations with free Wi-Fi and satellite TV. The property is just off the Warsaw Royal Route. All apartments at the Duval have individual, modern décor and come with a kitchenette equipped with tea/coffee facilities and a refrigerator. All offer a DVD player. They are all located on the second and third floor with no elevators. Guests can request breakfast upon arrival at an additional price. 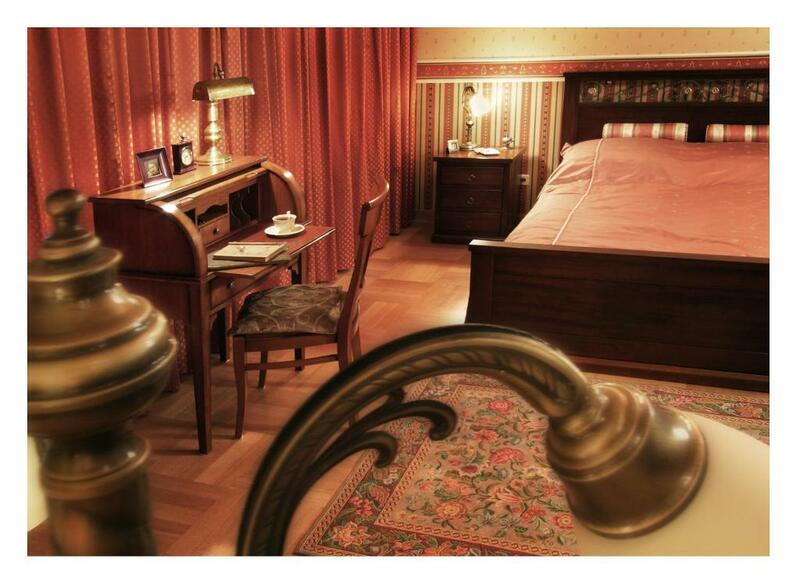 Duval Serviced Apartments are located just a few minutes’ walk from the Royal Castle and Warsaw University. The nearby Krakowskie Przedmieście Street offers good public transport connections with all parts of the city. When would you like to stay at Duval Serviced Apartments? This spacious apartment is located on the 2nd floor and overlooks Nowomiejska Street. 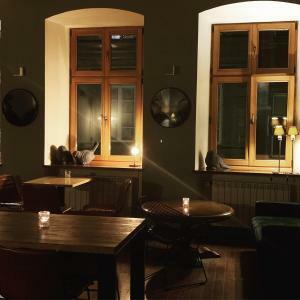 It is furnished with a wooden bed, a sofa, a table, a desk and a wardrobe It features classical interior, including a wooden raftered ceiling and curtains. There is a kitchenette area with a small fridge, a kettle and kitchenware. The bathroom comes with a shower, a hairdryer, towels and free toiletries. The apartment is located on the 3nd floor and features wooden details. It is equipped with 2 single beds, a seating area, a desk and a wardrobe. The windows overlook a quiet courtyard. There is a videophone entrance, a DVD player, a radio-alarm clock, a fan and an iron. The kitchenette includes a fridge, an electric kettle and kitchenware. The bathroom features a sloped ceiling with a window, a shower, a hairdryer, towels and free toiletries. 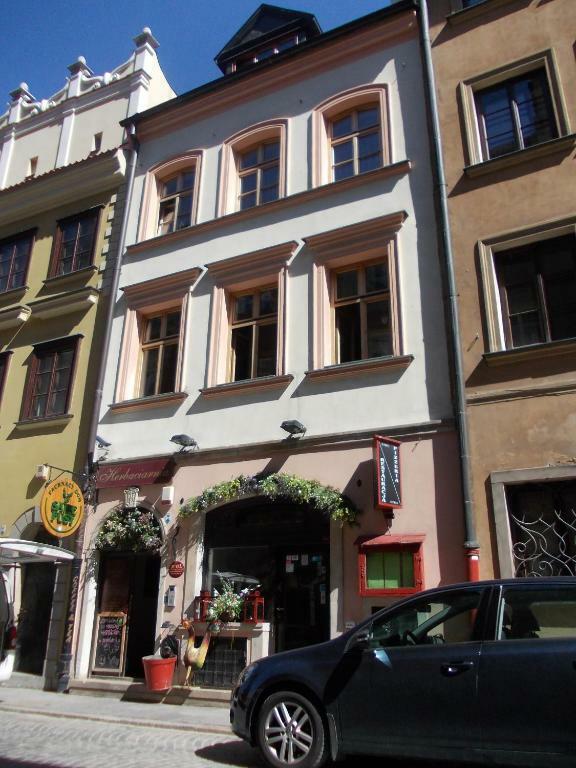 This 3rd floor apartment offers a view on the Old Town. It features contemporary decor and a wooden parquet floor. 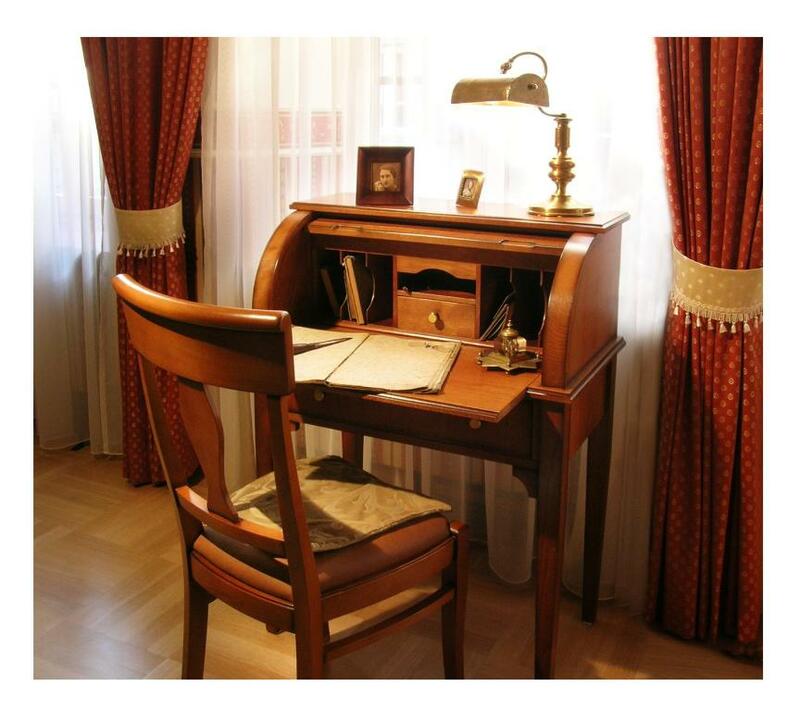 It is furnished with a leather sofa, a double bed, a glass table and a desk with a chair. The Apartment is equipped with DVD player, a videophone, a telephone, a radio-alarm clock, a fan and an iron. The kitchenette comes with a fridge, an electric kettle and kitchenware, whereas the bathroom features a shower, a hairdryer, towels and free toiletries. 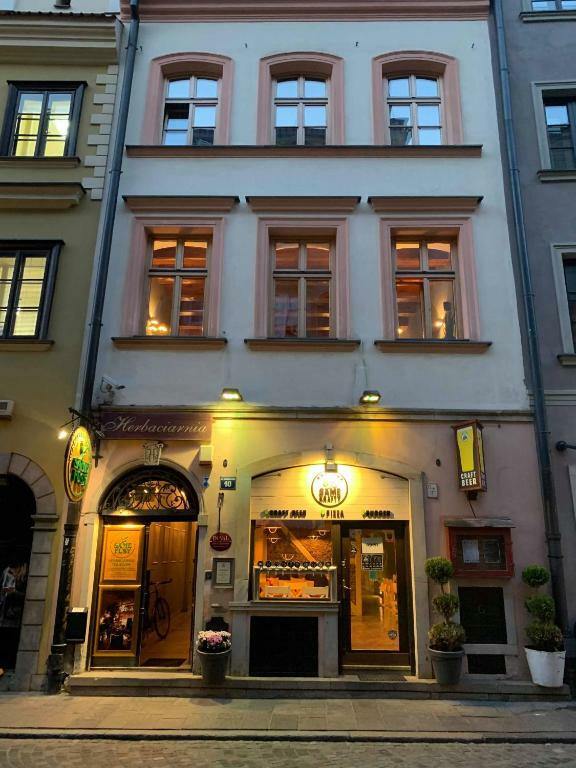 Our apartments are located in a historic building in superb location enabling you to explore the historical charm and wonders of Warsaw. Our spacious, self-contained apartments are fully equipped, well furnished and unique. Duval Apartments provides you with comfort, privacy and calmness at reasonable prices. Our apartments are not only an alternative to hotel rooms but cater for people travelling on business trips or for those of you wishing to enjoy lively Warsaw. 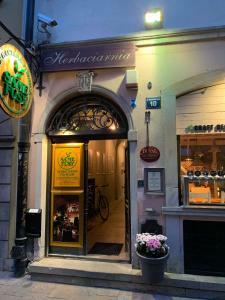 Also within the building there is Warsaw's famous Tea Room, Coffee-Bar and craft beer bar. It is my calling to be in the hospitality business. I will make every effort to ensure your trip to Warsaw is an enjoyable and unforgettable experience. I'm always looking forward to welcoming you to our place and to lively and magical Warsaw. 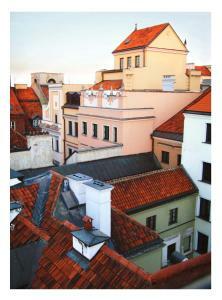 Duval Apartments are situated in the very heart of Warsaw’s Old Town. Just few steps from Old Town Market Square. Streets of the Old and New Towns are a lively place, bustling with tourists and locals, and full of galleries, cafés and restaurants. Atmospheric alleys, squares, and cosy cafés create a unique sense of history, and in the summer, the Old and New Town Squares become stages for musical and theatrical performances and open-air galleries. House Rules Duval Serviced Apartments takes special requests – add in the next step! Duval Serviced Apartments accepts these cards and reserves the right to temporarily hold an amount prior to arrival. In case of late arrivals, please contact the property in advance. Please inform Duval Serviced Apartments of your expected arrival time in advance. You can use the Special Requests box when booking, or contact the property directly using the contact details in your confirmation. Charming place and excellent host. The location is great and very scenic. Although this is the historical center, it’s a very quiet place. It's impossible to cook something yourself! And pillow not confortable at all. At the end of bed there are decorations irons and I am tall, guess how I slept confortable. It should cost less than such price I paid in such season. And it's first time a host take my money from my card before I arrive. Maybe it's normal but personally I don't like. It's a big nice room but not an apartment, position was perfect. 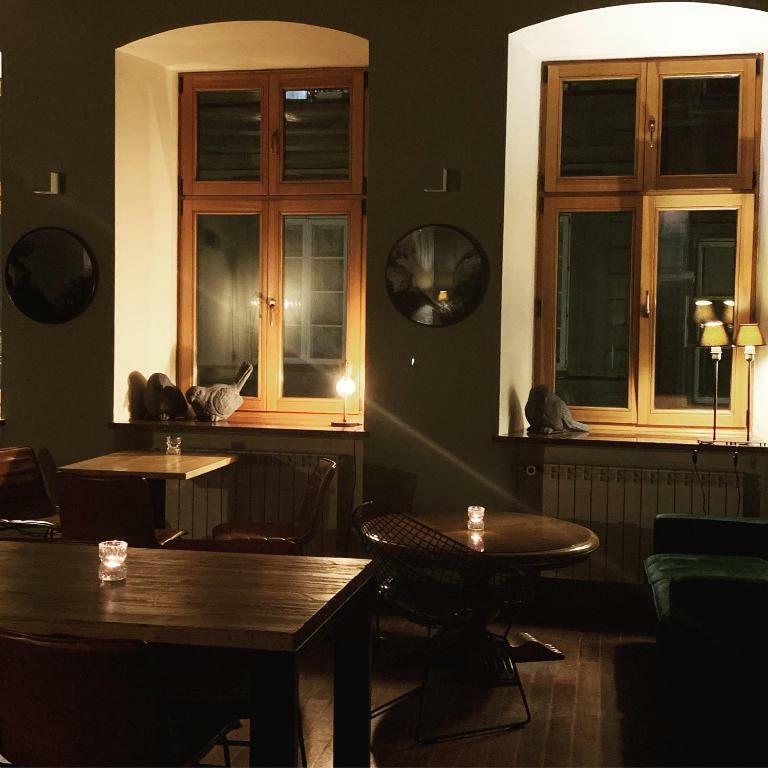 This is in a fantastic location a few steps away from the old town square with coffee shops, restaurants and bars close by. The apartment was very spacious and had everything you would want such as a kettle, fridge, teabags and coffee. Toiletries were also provided in the bathroom & the shower facilities were very good. There were lots of little homely touches which we really appreciated. Martin was a lovely host and very helpful. He also very kindly organised our early morning taxi to the airport. We would certainly recommend a stay here. Martin greeted us on arrival and explained all we needed to know about the apartment and the facilities. Nothing. It was outstandingly perfect! 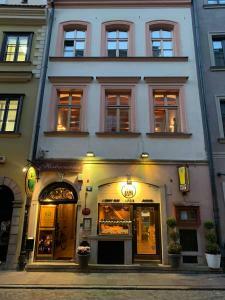 This is by far the best accommodation that you could find in Warsaw. The quality of the apartment and the building it was in far exceeded our expectations. Martin the host was delightful and so helpful. The bar inside the building and it’s twin across the road had some superb craft ales available. Five stars doesn’t do the place justice. The room was beautiful in a great location. Easy to walk or get a cab. With the cafe and tea room downstairs were both amazing. Puiki vieta. Švarus, didelis kambarys. Šeimininkai svetingi. Rekomenduoju. Everything was perfect, especially location. 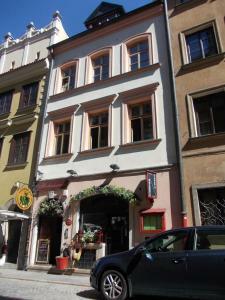 Nice, clean apartment in great location in the Old Town of Warsaw. Martin the just was very friendly and welcoming. Would highly recommend. Basically everything was great. Staff was very helpful, room and bathroom really spacious. Location couldn't be better with the access to all important sites within an old town, variety of restaurants and eateries and short ride from Warsaw Central train station. 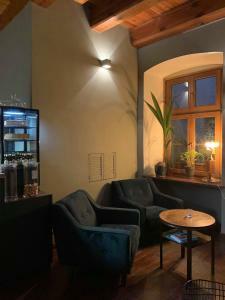 The place is very intimate and cozy, location is perfect, Just in the center of the old, city. Martin the owner was very welcoming. Ideal for a romantic vacation or even business one, just to relax after a busy day. loved it! The Apartments were in an excellent location for exploring the area. Everything was clean comfortable, with lots of maps and information provided in our room. Host Martin was very efficient and helpful to our needs and questions. We enjoyed our stay immensely. This was our 2nd visit and we will definitely be back. Absolutely everything, Martin was very welcoming the apartment was fabulous and the location spot on. Would definitely return. Nothing to dislike. Exceeded our expectations.